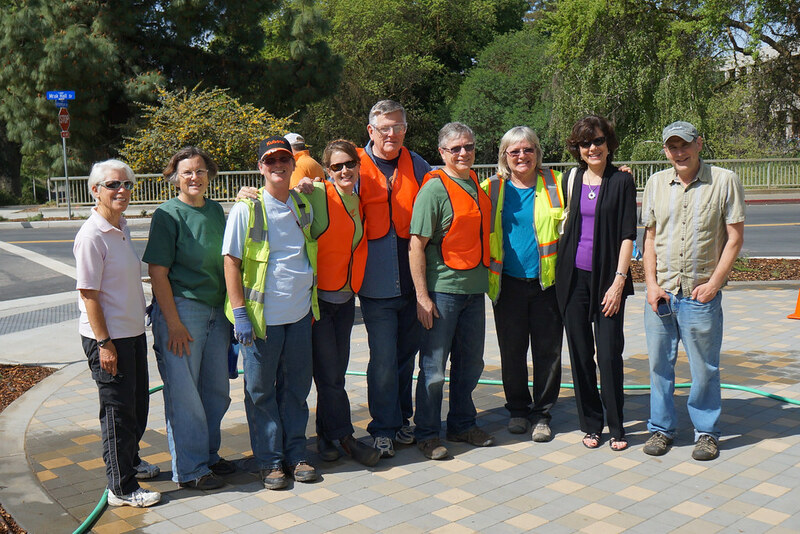 At the UC Davis Arboretum, we rely on volunteer support in every area of operations. As a volunteer, you can learn new skills, meet other people who share your interests, and feel wonderful about supporting our environment. Whatever your skills or interests, the Arboretum welcomes you. Volunteers donate more than 15,000 hours of service each year. Depending on their skills, interests, and availability, prospective volunteers can be assigned as members of a team that meets for three hours one morning each week. At this time, most training takes place ”on the job.” Sometimes, training sessions are offered to a group of volunteers. The Arboretum also welcomes volunteers who prefer to work on short-term projects. We can always use assistance at our renowned plant sales. We schedule volunteer workdays several times a year for planting or garden clean-up projects. Many service organizations enjoy coming out for a day of work in the garden. We also work with volunteers for special projects in garden design, computer programming, marketing, photography, and other fields.